Predictive analytics is what translates big data into meaningful, usable business information. 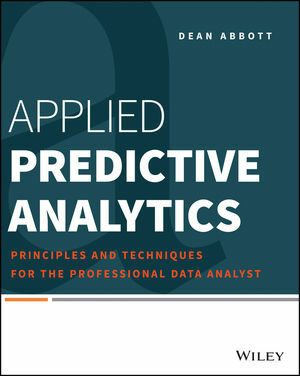 Written by a leading expert in the field, this guide examines the science of the underlying algorithms as well as the principles and best practices that govern the art of predictive analytics. It clearly explains the theory behind predictive analytics, teaches the methods, principles, and techniques for conducting predictive analytics projects, and offers tips and tricks that are essential for successful predictive modeling. Hands-on examples and case studies are included. Applied Predictive Analytics arms data and business analysts and business managers with the tools they need to interpret and capitalize on big data.